For those looking for an address that is at once convenient and prestigious, Castle Group Development‘s Vida Condominiums has arrived at Sheppard Avenue East and Bayview Avenue. Vida is a luxury boutique condominium nestled in an exclusive location. The three-, six- and eight- storey stepped condominium features modern urban architecture, vibrant amenities and sophisticated suites. Residents of Vida Condominiums will be able to step out their front door and into one of the city’s most upscale shopping destinations at Bayview Village, which offers a fine selection of more than 100 luxury retailers, gourmet grocers, restaurants and cafes. Other shopping destinations not far from Vida include the Shops at Don Mills and Fairview Mall, and the new Whole Foods on Yonge Street. For those seeking an invigorating respite, there’s the natural splendor of nearby parks and scenic walking trails, including Rean Park, Hawksbury Park, and Bayview Village Park that connects to Blue Ridge Park via a tree-lined trail. Only five minutes away, the Yonge Street corridor offers a variety of culture, cuisine and entertainment options to revel in with the Art Gallery of North York, Toronto Centre for the Arts and movie theatres. Nearby hospitals include Sunnybrook and North York General.  At Vida, the subway is at your door with Bayview Station on the Sheppard subway line a short walk away, and it gets you downtown in minutes. As well, access to Hwy. 401 and the Don Valley/404 is virtually instant. The urban and contemporary design is by HCA Architecture and features a whimsical façade of iridescent glass punctuated by linear bands of concrete stone. The lush landscaping, dramatic arched entranceway flanked by stone and glass, and elegant lobby lounge give a strong sense of arrival for both residents and guests. Amenities at Vida take fine, urban living to the next level. Residents can entertain guests in style in the multi-purpose party room with chef’s kitchen or the sports bar, which overlooks a beautifully landscaped outdoor space with barbecue area. If guests choose to stay overnight, there is a welcoming master guest suite. For Vida owners looking to get in a quick workout, the fitness centre is equipped with the latest weights and cardio machines. The impeccable suites at Vida Condominiums offer soaring nine foot ceiling heights, expansive windows and layouts, spacious closets and high-quality laminate plank flooring. Designer kitchen features include granite countertops, ceramic tile backsplash, European-styled cabinetry and full-sized stainless steel appliances. Luxury-inspired bathroom features include deep soaker tub or stand-up shower, ceramic tiles and custom cultured marble vanity counter. All suites feature balconies or terraces. Suites range in size from 328 to 1,600 sq. ft. and are available in studios, one-bedroom, one-bedroom-plus-den, two-bedroom, two-bedroom-plus-den and three- bedroom designs.